I remember the first time I ate blackberries. I was in the woods with Dad exploring rural Nova Scotia in the summer, and he pointed out the blackberry cane and said they were good to eat. My first impression was “most delicious marvelous”. 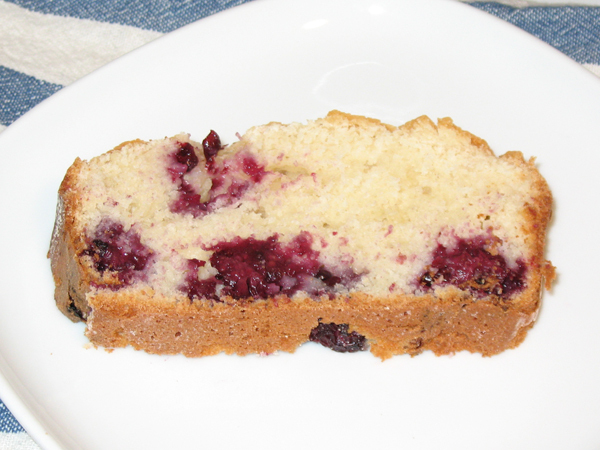 I bought some blackberries the other day and wondered what I could make. 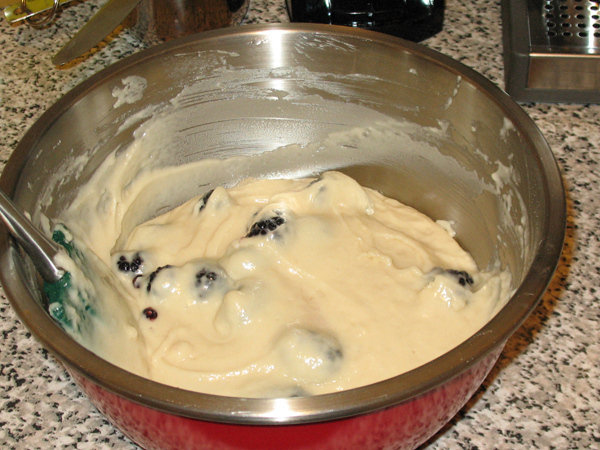 Step 1 – preheat oven to 177°C / 350°F. 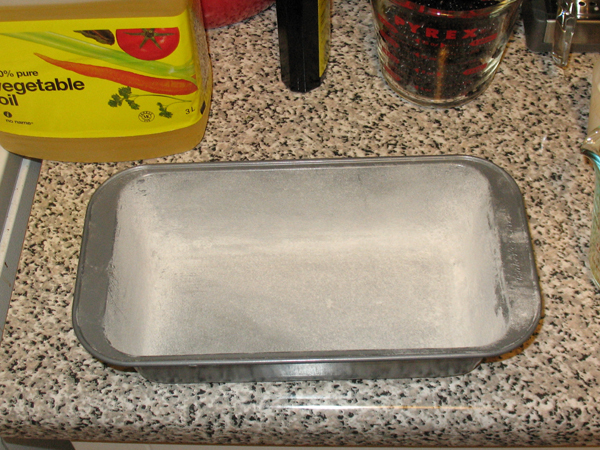 Lightly grease and flour loaf pan. 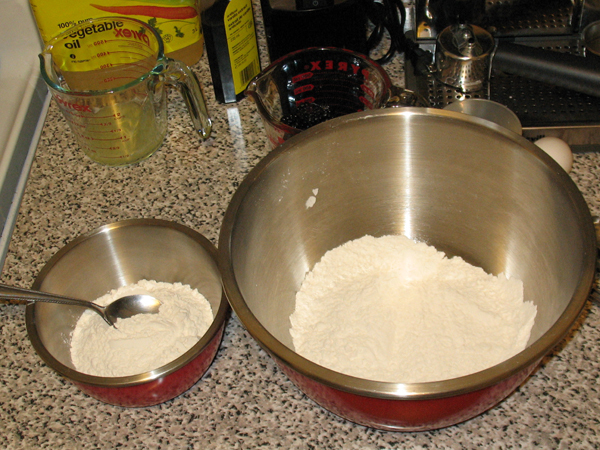 Step 2 – using large bowl, whisk together: flour, baking powder, baking soda, salt. Divide this in half. 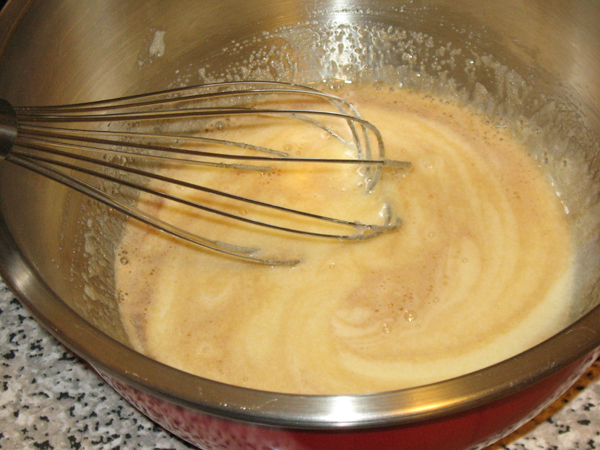 Step 3 – using medium bowl, whisk together: sugar, egg, vanilla, and vegetable oil. Oops, forgot the vegetable oil. 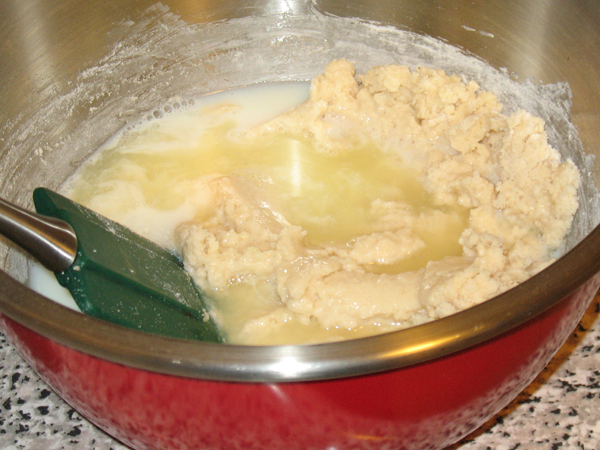 Step 4 – stir half of the dry mix into the wet. 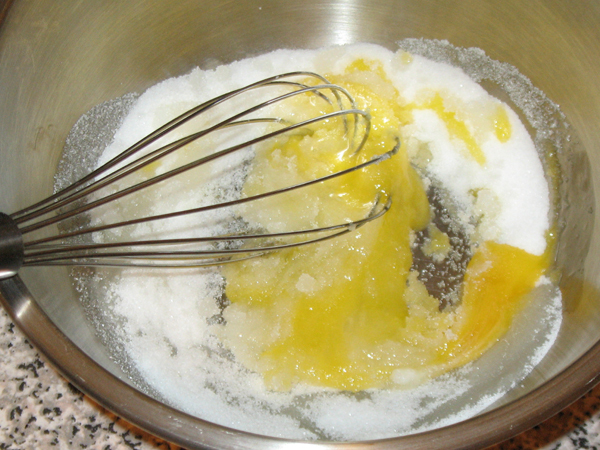 Step 5 – stir in milk and lemon juice. Added the forgotten vegetable oil. 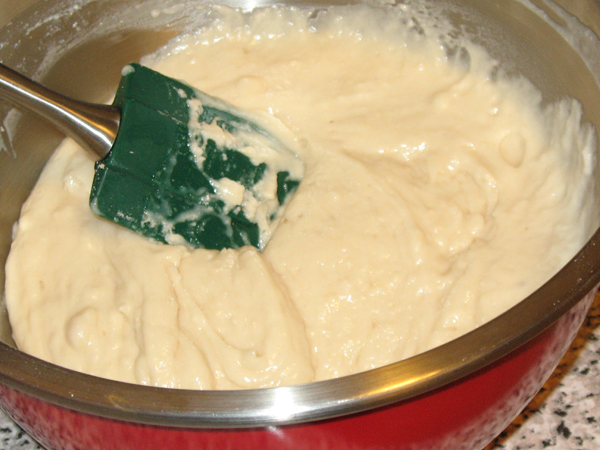 Step 6 – stir remaining dry mix into wet. Step 9 – bake 40-50 minutes, when loaf is done toothpick comes out clean (I baked this for 55 min and found the top a bit overdone). 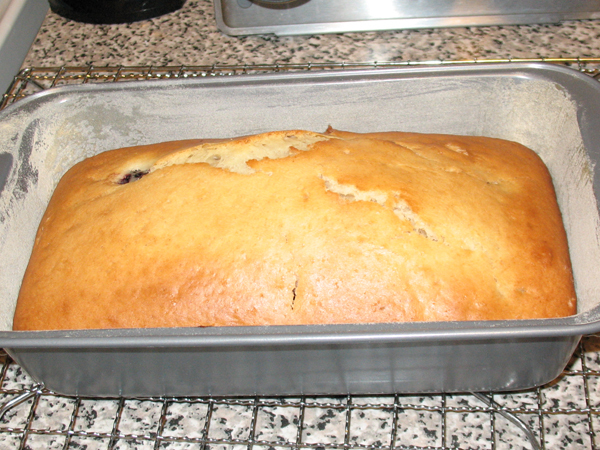 Run a knife along the edges of the loaf to loosen from the pan. 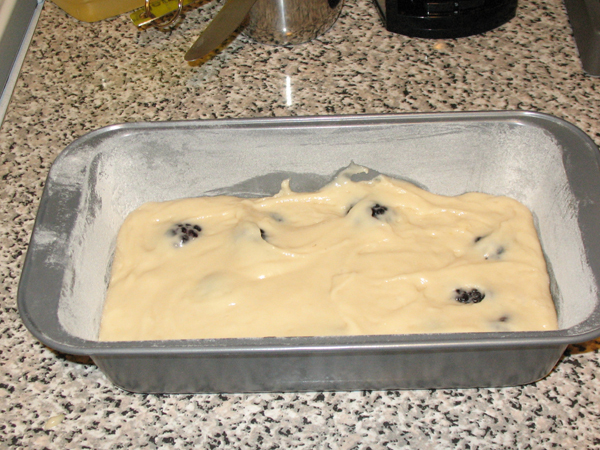 Step 10 – let loaf sit in pan for 10 minutes before removing from pan, then cool one hour before slicing. Oh bloody hell not again!! Sigh. 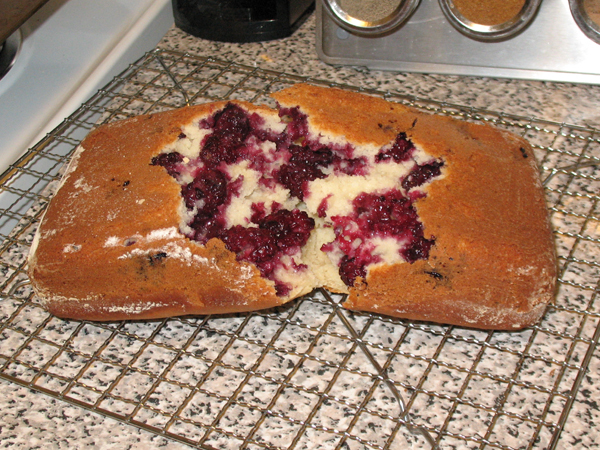 This is now the 5th time my cake-like creation has cracked in twain. On the other hand, I did get a really interesting picture that I wouldn’t have gotten otherwise. I’m getting really tired of this!! 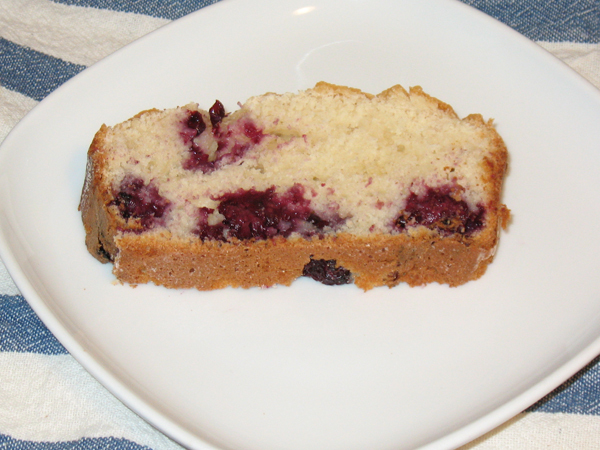 This entry was posted in tea bread and tagged blackberries, disaster, experiment, lemon, tea bread. The blackberries have been coming in thick here. 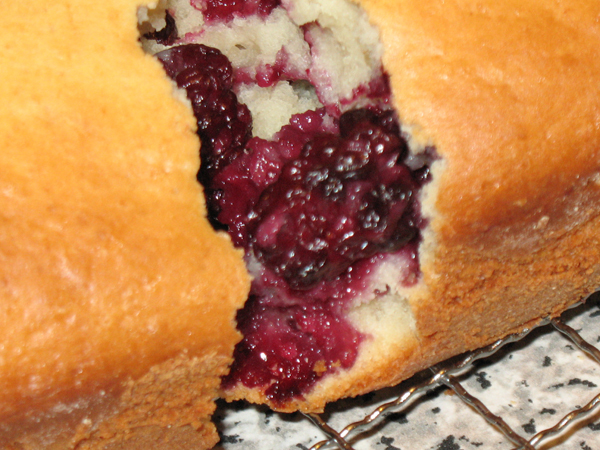 This morning I felt inspired to bake something blackberry/lemony. A quick search for said ingredients and ‘bread’ brought me here. 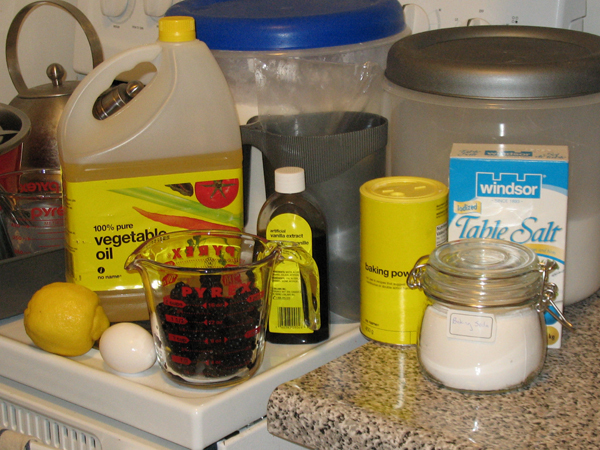 The only substitution was was 1tsp lemon extract and 2tsp lemon/1 tsp lime concentrate in place of missing lemons, and I had 2 cups of berries. I also split the difference on your sugar suggestions. 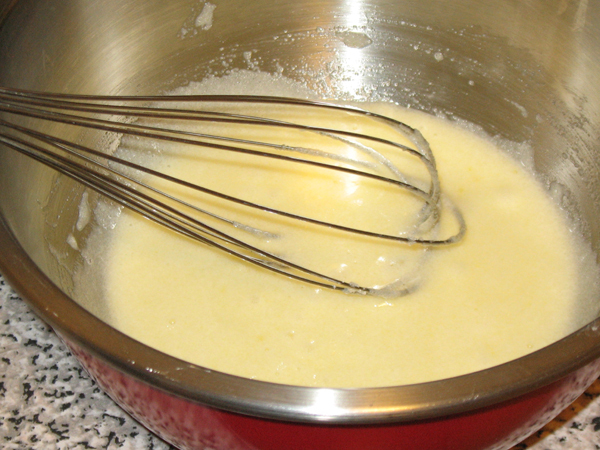 Since I didn’t use lemons, I was concerned that I might be short on liquids (the batter was a bit stiff). I assumed the extra berries would compensate. The end result was very tasty, thanks. If you’re in an area where you are lucky enough to pick your own, I am wildly jealous.